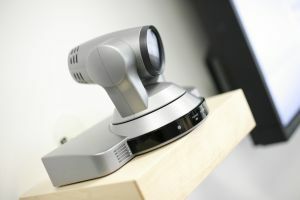 Last week it emerged that a website featuring links to thousands of unsecured webcams was available online. The Russian based site listed streaming footage from systems that either used default passwords or had no security information at all, allowing viewers to watch unsuspecting members of the public who thought they were in the privacy of their own homes. The site listed material available by country as well as device and said that systems had not been hacked but were simply operating within their default security settings. The owner of the site told BBC News that he didn’t consider himself to be a hacker. Footage including home gyms, shops and living rooms were freely available as well as the worrying images from Children’s bedrooms of baby monitor systems. The website of which name we won’t mention here has now been taken offline however an employment advert has appeared on the page presumably from the site owner stating “Programmer looking for a good remote job”. If you have worries about webcam security in light of this news we advise you to make sure your hardware is protected with a non-default password, use a mix of unusual characters including numbers that don’t make up dictionary names.